When we got the diagnosis that our son had a brain malformation and wasn’t going to be who we thought he was, I thought the world was going to end. Instead, I soon discovered that the world was just beginning. For so long I grieved over the lost little boy I wanted to have. I think that is a pretty normal reaction for most of us who have a child with special needs. But what has taken me 3 and half years to learn, and what I am still learning, is that having a child like Jackson is cause for celebration. “Why?” some may ask. Why would I celebrate having a child who at 4 years old can’t walk, can’t talk, is epileptic, and has cognitive disabilities? My response to that is how could I not celebrate a child who is beautiful, happy, funny, goofy, sweet and loving, has touched so many lives, brings enormous joy to my life, reminds me what is really important, is slowly but surely making progress, and who has taught me what a mother’s love really is. Despite Jackson’s disabilities and the struggles we face in raising him, he is my son. He is a part of me. How does anything get any better than that? Don’t get me wrong, there are tough days. Some very tough days. Jackson is about 45 pounds and carrying him around, putting him in the car, and putting him in his wheelchair every day is wreaking havoc on my back. It’s frustrating when he is wants something and gets upset or mad and I have no idea what he wants. His numerous doctor and therapy appointments are exhausting. It breaks my heart when he has to go in the hospital for tests and they poke and prod him. Then there was the time that he had a seizure in the car. We pulled off to the side of the freeway just as Jackson lost consciousness and his lips turned blue. For a few minutes of my life I thought my son had died. A little bit of my heart died that day. So it’s not all roses. But no parent has a child that is all roses to raise. Every parent has challenges with their child. Special needs parents just have different challenges. For me personally, the best thing to come from Jackson, other than Jackson himself, is a new sense of purpose. In college my minor was Parent Education. I was getting my teaching degree and I thought that would be a good accompaniment since I would also be working with parents. Little did I know that my in my far off future it would be all I wanted to do. Having traveled down the road of a special needs parent I have learned a lot, am still learning a lot, and know that there is a plethora of learning ahead for me. I want to share what I have learned with others, help them travel down their road with their child, and be a support system for them. 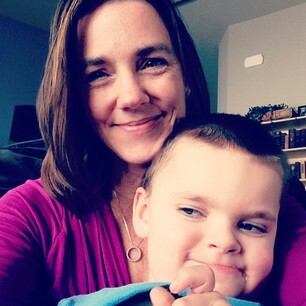 I also want to be an advocate for not only my son, but for other people with disabilities. I am currently taking the Advocacy Leadership class offered through the Arc of Spokane so that I can learn how to be an effective and educated advocate. In my wildest dreams I never imagined this is something I would want to do with my life. Yet here I am. I would never want to change Jackson. I love who he is. It is exactly because of who he is that makes me want to go out and change the world for other parents and people with disabilities. If at 4 years old he can ignite my passion to change the world, I can’t wait to see what the future holds for us!